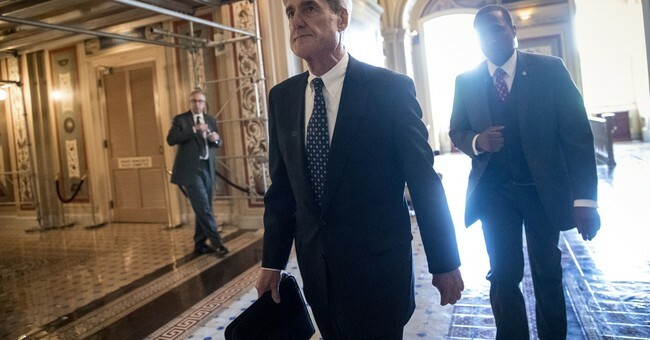 A Justice Department report released on Thursday details how Robert Mueller’s Russia collusion probe accumulated nearly $17 million in expenses less than a year after his official appointment as special counsel. The report, which covers Mueller’s investigation from October of last year through the end of March 2018, shows that the special counsel’s office (SCO) directly spent $4.5 million over that brief period. Of that sum, the majority (just over $2.7 million) went towards “personnel compensation and benefits,” with the remainder of the funds being used for travel and transportation expenses, rent and utilities, IT service contracts, and other miscellaneous costs. The report also notes that Justice Department costs over the same period to support Mueller’s probe totaled almost $5.5 million. According to a previous DOJ expense report for the special counsel’s probe covering the investigation from Mueller’s initial appointment on May 17th, 2017 through the end of September that same year, Mueller’s SCO spent $3.2 million with an additional $3.5 million in concurrent DOJ expenses. The SCO’s outlays covered the same gamut of different services detailed in the more recent report, with personnel compensation once again taking up the majority ($1.7 million) of Mueller’s budget. Thus, in total, Mueller and his colleagues at the DOJ have spent at least $4.4 million in taxpayer money on benefits for themselves and their staff in less than eleven months. The Justice Department’s next report on the special counsel’s expenditures will cover Mueller’s expenses through the end of September.